Galloping Ghosts! The folks of the valley are a superstitious lot, believing in witches and goblins and ghosts and things they can't see, as much as they believe in the real world around them. This leads to some mighty adventures for some wonderful characters like Ichabod Crane, Rip Van Winkle, Brom Bones, and a host of others. 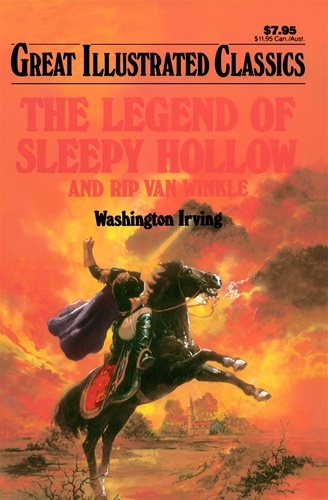 Thrill to the tales of the Headless Horseman, the long night's sleep that lasted twenty years, and the most surprising ending to any treasure hunt ever.